I purchased the following Andre Norton paperbacks with covers by Jeffrey Jones on Monday from a small shop in Yorkton, Saskatchewan. I found the shop totally by accident. My wife, our son, and I were en route to Dauphin, Manitoba, but since we were ahead of schedule and had some time to kill before lunch in Yorkton, we decided to drive around a bit and see what stores were open in the downtown area. We went up and down a couple of streets, and then we noticed a shop called “Thrifty Mama’s” that had a display of books in the window. Being a trio of bibliophiles, we couldn’t resist checking it out — and discovered that at least half of the floorspace in “Thrifty Mama’s” is dedicated to used books, mostly paperbacks. Score! 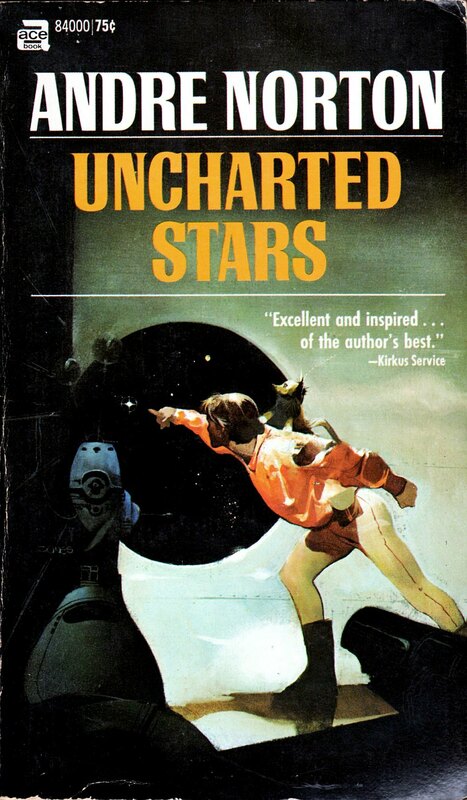 Now, I know I’ve posted the cover of Uncharted Stars before, but the book this time around is in much better condition. In fact, all four are really glossy and tight. And they all sport excellent Jones covers. Enjoy! 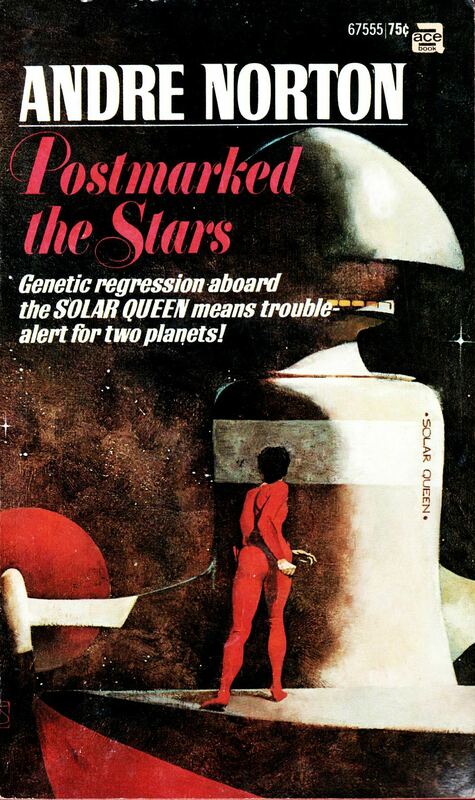 ABOVE: Andre Norton, Postmarked the Stars (New York: Ace, ©1969), with cover art by Jeffrey Jones. 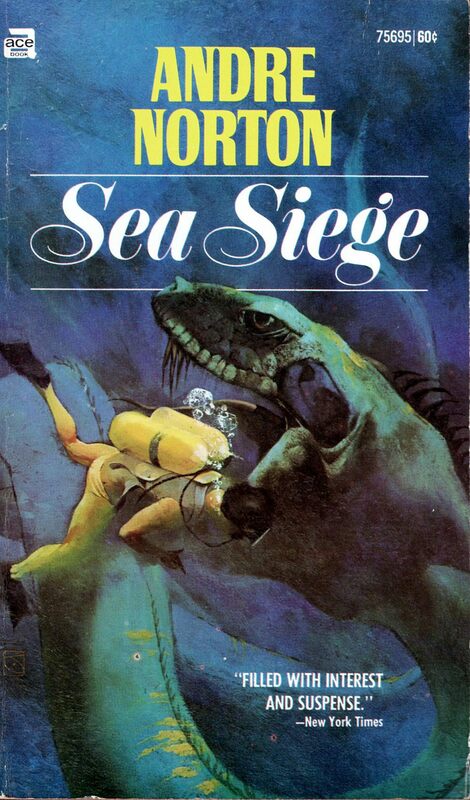 ABOVE: Andre Norton, Sea Siege (New York: Ace, ©1957), with cover art by Jeffrey Jones. ABOVE: Andre Norton, Uncharted Stars (New York: Ace, ©1969), with cover art by Jeffrey Jones. 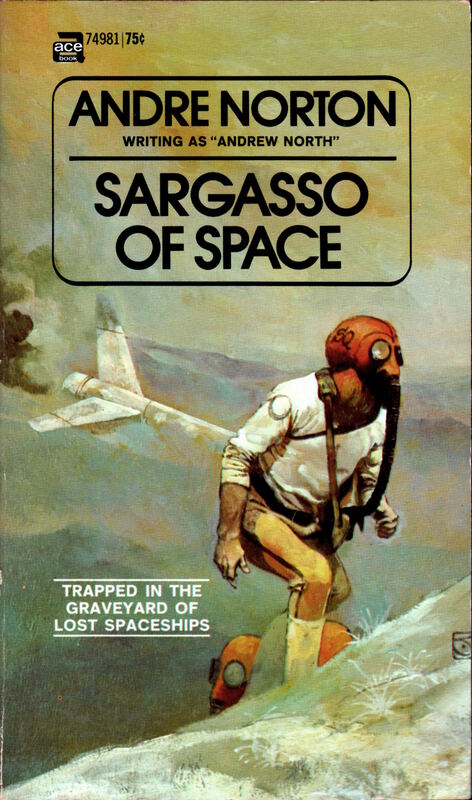 ABOVE: Andre Norton, Sargasso of Space (New York: Ace, ©1955), 74981, with cover art by Jeffrey Jones. 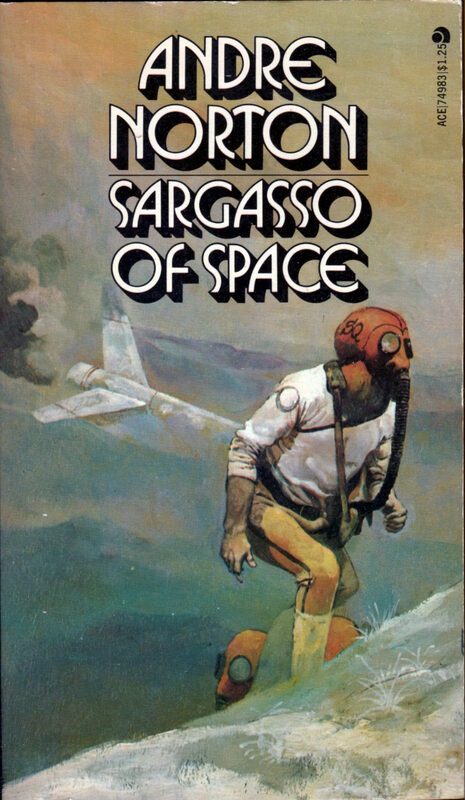 ABOVE: Andre Norton, Sargasso of Space (New York: Ace, ©1955), 74983, with cover art by Jeffrey Jones. Keywords: Postmarked to the Stars, Sea Siege, Uncharted Stars, Sargasso of Space.